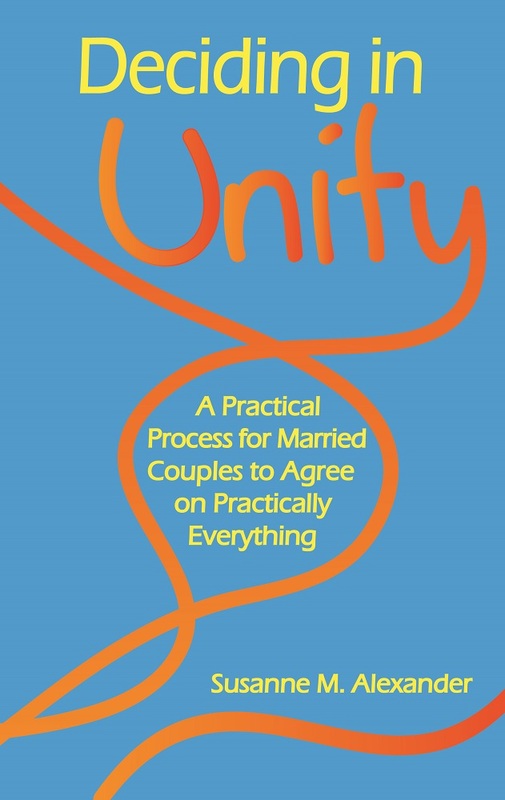 New Release – Deciding in Unity: A Practical Process for Married Couples to Agree on Practically Everything | Book Hub, Inc. This entry was posted in Marriage, Self-Help and tagged communication, consultation, couple, decisions, marriage, relationships, Susanne M. Alexander, unity. Bookmark the permalink.